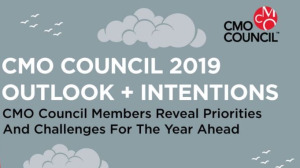 According to the CMO Council, a global audit of chief marketers indicates a resolute intention of being active advocates and agents for marketing technology migration, digital skills development and more effective go-to-market processes in 2019. 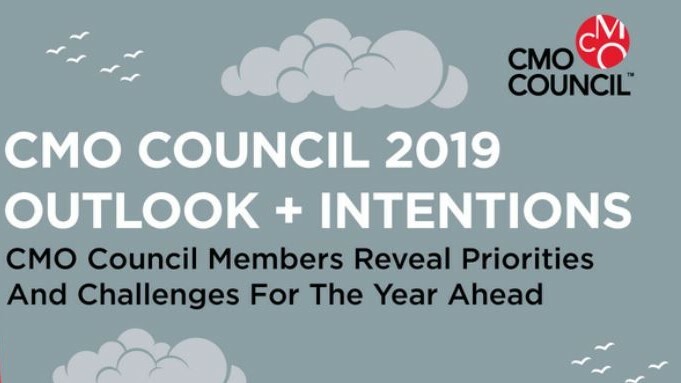 The CMO Council Outlook + Intention Audit gathered insights early in the year from more than 100 Advisory Board Members across seven regions, including North America, Europe, APAC, MENA, India, sub-Saharan Africa and Latin America. The global knowledge transfer and peer mentoring group includes 15 000 chief marketers in 110 countries controlling nearly a trillion Dollars in annual, aggregated marketing spend. For more information, visit www.cmocouncil.org. You can also follow the CMO Council on Twitter.